MAN TRYING TO KILL HIMSELF AT GEYLANG. RUN TOWARDS CAR! You are at:Home»Caught In The Act»MAN TRYING TO KILL HIMSELF AT GEYLANG. 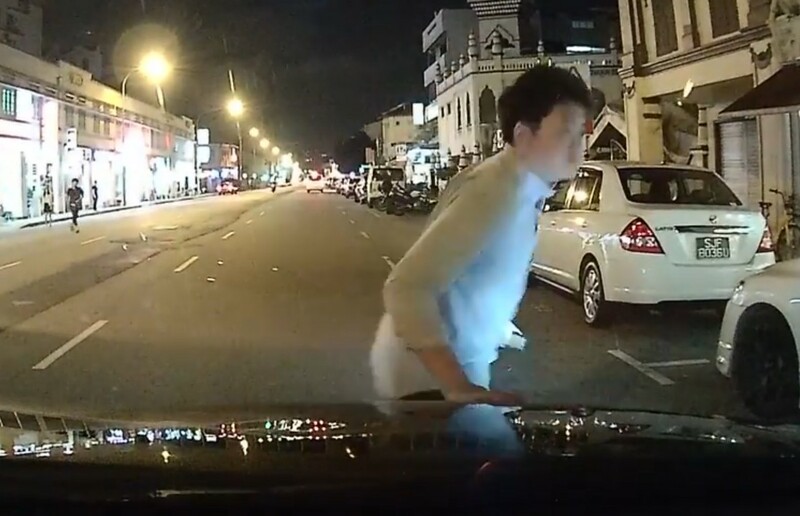 RUN TOWARDS CAR! PLEASE HELP ME SHARE THIS AROUND THANK YOU , EVERYONE TAKE NOTE OF THIS GUY TOO. Previous ArticleFIGHT AT GEYLANG COFFEE SHOP. VERY FIERCE!! CHAIR TABLE ALL FLY! Next Article NETIZEN CLAIMS MOTHER CHEATED $500 FROM MONEY CHANGER! !